Costa Rica was the first country in the world to constitutionally abolish its army. This country is a democratic republic with a strong system of constitutional checks and balances. Costa Rica is home to a rich variety of plants and animals. Despite being such a tiny nation, Costa Rica draws well over a million visitors every year. 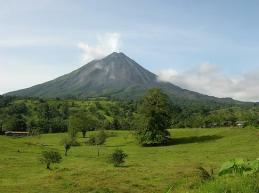 Costa Rica’s major economic resources are its fertile land and frequent rainfall. The country of Costa Rica has sought to widen its economic and trade ties, both within and outside the region. Although the smallest country in Central America in terms of population, Costa Rica is the most affluent on a GDP per capita basis. Although explored by the Spanish early in the 16th century, initial attempts at colonizing Costa Rica proved unsuccessful due to a combination of factors. It was not until 1563 that a permanent settlement of Cartago was established in the cooler, fertile central highlands. The area remained a colony for some two and a half centuries. In 1821, Costa Rica became one of several Central American provinces that jointly declared their independence from Spain. Two years later it joined the United Provinces of Central America, but this federation disintegrated in 1838, at which time Costa Rica proclaimed its sovereignty and independence. Since the late 19th century, only two brief periods of violence have marred the country’s democratic development. Although it still maintains a large agricultural sector, Costa Rica has expanded its economy to include strong technology and tourism industries. The standard of living is relatively high. Land ownership is widespread. Costa Rica’s basically stable economy depends on tourism, agriculture, and electronics exports. Poverty has remained at roughly 20% for nearly 20 years, and the strong social safety net that had been put into place by the government has eroded due to increased financial constraints on government expenditures. Immigration from Nicaragua has increasingly become a concern for the government. Foreign investors remain attracted by the country’s political stability and high education levels, and tourism continues to bring in foreign exchange. The government continues to grapple with its large internal and external deficits and sizable internal debt. Reducing inflation remains a difficult problem because of rising import prices, labor market rigidities, and fiscal deficits. The country also needs to reform its tax system and its pattern of public expenditure. The current administration has made it a priority to pass the necessary reforms to implement the US-Central American Free Trade Agreement (CAFTA). CAFTA implementation would result in an improved investment climate. Costa Rica is located on the Central American isthmus and it borders Nicaragua to the north and Panama to the south-southeast. The highest point in the country is Cerro Chirripó, with 3,810 meters and the highest volcano in the country is the Irazú Volcano (3,431 m). Costa Rica also comprises several islands. Cocos Island stands out because of its distance from continental landmass, but Calero Island is the biggest island of the country. Costa Rica protects over 25% of its national territory within the Protected Areas system. It also possesses the greatest density of species in the world. Costa Ricans often refer to themselves as tico (masculine) or tica (feminine). The tico ideal is that of a very friendly, helpful, laid back, unhurried, educated and environmentally aware people. The phrase “Pura Vida” (literally “Pure Life”) is a ubiquitous motto in Costa Rica. It encapsulates the pervading ideology of living in peace in a calm, unclustered manner, appreciating a life surrounded by nature and family and friends. Costa Rican traditions and culture tend to retain a strong degree of Spanish influence. Costa Rica boasts a varied history. Costa Rica was the point where the Mesoamerican and South American native cultures met. However, the indigenous people have influenced modern Costa Rican culture to a relatively small degree, as most of the Indians died from disease and mistreatment by the Spaniards. The Atlantic coast, meanwhile, was populated with African workers during the seventeenth and eighteenth centuries. Most Caribbean Costa Ricans of African descent, however, derive from nineteenth-century Jamaican workers, brought in to work on the construction of railroads between the urban populations of the Central Plateau and the port of Limon on the Caribbean coast. Italian and Chinese immigrants also arrived at this time to work on the railroad construction. Preschool education and general basic education are compulsory but not enforced. Though the system is said to be free, many cannot afford the required uniforms and rural schools have no books for students. The length of time spent in school daily is 3.5 hours since the school class schedule is divided into two sessions in order to accommodate the students. These levels and the diversified education level are, in the public system, free and supported by the Nation. Elementary and High schools are to be found in every community. Students are not required to pay for assistance, a nominal charge of around $20 per year applies. Elementary school has 6 year levels, where as high school has 5 year levels. Each is divided in two cycles, and upon completion of each cycle, students are required to pass tests on all subjects studied during those years. There are only a few of schools in Costa Rica that go beyond the 11th grade. For students in those schools that finish at 11th grade, they must pass the Costa Rican Bachillerato Diploma accredited by the Costa Rican Ministry of Education, which is necessary to enter university. Schools that offer classes to the 12th grade offer either the International Baccalaureate Diploma, accredited by the IBO in Geneva, Switzerland or USA High School Diploma, accredited by the Southern Association of Colleges and Schools (SACS). Although the country lacked a university until 1940, Costa Rica now boasts four state-funded universities and a score of small private ones, whose number has increased dramatically in the last decade, due to the difficulty of being admitted to state-funded, more prestigious universities. The University of Costa Rica (UCR), the largest and oldest university, enrolls some 35,000 students, mostly on scholarships, but even paying full tuition is not hard as it rarely surpasses $200 a semester. The main campus is in the northeastern San Jose community of San Pedro but the UCR also has regional centers in Alajuela, Turrialba, Puntarenas and Cartago. The National University in Heredia, offers a variety of liberal arts, sciences, and professional studies to 13,000 students . Cartago’s Technical Institute of Costa Rica (ITCR) specializes in science and technology, and seeks to train people for agriculture, industry and mining. And the State Correspondence University, founded in 1978, is modeled after the United Kingdom’s Open University and has 32 regional centers offering 15 degree courses in health, education, business administration, and the liberal arts. In addition there are many private institutions like, the Autonomous University of Central America, the University for Peace, sponsored by the United Nations offering a master’s degree in communications for Peace.